First Corporation presents 2018 new product in all its main brands. 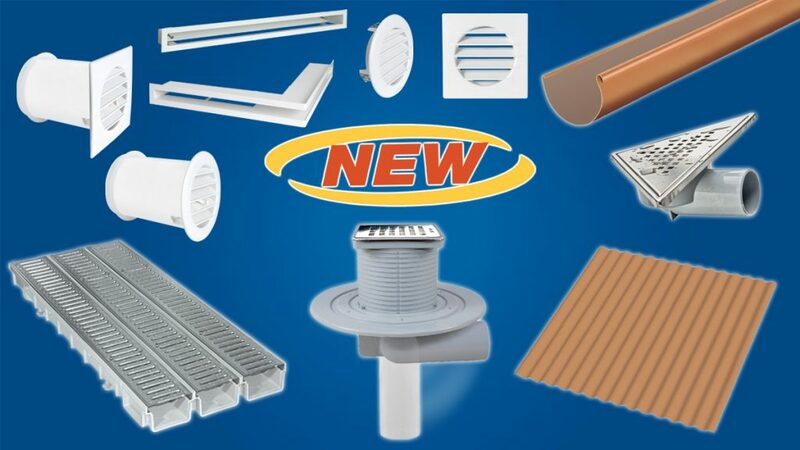 The range of ventilation grilles and systems is enriched with new models of grids to embed both round (model TET12) and square (model TEQ12); aluminum grid 30×30 cm model GAL to superimpose; metal grilles for fireplaces (linear and corner models); horizontal elbow 15° for rectangular pipe 220×90 mm; the innovative air vent with thermostatic control AIRCONTROL. In the roofing sheets the new Small Cover line is presented, available for shelters to cover Profilo Grekina and Profilo Ondina, while models Ondina Life and Grekina Life are now also available in sizes 5.20 m and 6.20 m. First Plast also present the new ABS technical gully trap range (with a 180° rotating outlet to allow both horizontal and vertical discharge) and a brand new ABS corner gully trap with triangular inox grid; among drainage systems the new PP grilled channels is “Kit Garage” model; among gutter systems the new 145 copper effect profile is now also available. Find out more details in the PDF to download.